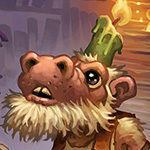 Sludge Slurper is a 1 Mana Cost Rare Shaman Minion Murloc card from the Rise of Shadows set! Rating: 4.2/5. From 210 votes. Really good card. One drop plus 1.5 drop in one card. Firefly was one drop plus one drop and saw tons of play for two whole years. In my opinion, the best lackey minion out there. The turn one 2/1 followed by turn 2 curve into lackey is not only a high value start because you haven’t lost card advantage, but a high tempo start as the lackey’s effect is usually quite strong. I see it being ran as a (dare i say) better firefly. Its also 2 spells for 1 card generator with hagatha hero card (just like fire fly). The only way i see this being worse than firefly is if you murloc boi dies before turn 2 and your lackey is either goblin or witchey lackey (both requiring a minion on board to be good), meaning your turn 2 play is a lot worse. Its also obviously not as good against odd paladin with the 1 health, but thats going out of standard now so the 2/1 more aggressive stat line is potentially better. Notably the firefly’s potential to activate elemental synergy is something this card lacks. However most elemental synergy is going out with ungoro. 5 Stars as a great 1 drop in a probably tier 1 or 2 deck. Good 1 drop that’s not totally useless in the mid-/lategame. 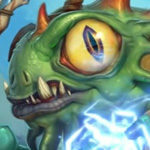 Finally a murloc we have not had a good update to murloc deck from the quest for shaman and the call to arm for pala. Although both of these are going to wild. 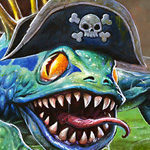 So the new year starts without a playable murloc deck. Not that this will make murlocs usable but still its good to know blizz didn’t forget the fish-frog thingyes. 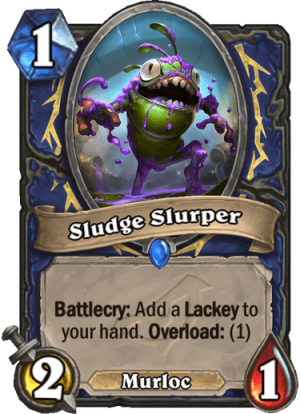 Overal this is a very bad murloc with not much synergy with other murlocs and mixin murlocs and lackeys does not sound that much as a tempo play to me since lackeys are essentially a 0 cost boddy for one mana. whitch makes them slow and easy to remove. Topping that with the understated minions like this one and the fact that it overloads you on top of it all. We are all just going to dust this. Sludge Slurper is pretty okay. It’s quite comparable to Fire Fly and while obviously not as good, is close enough to probably see play in faster Shaman decks. It’s a cheap and consistent proc for Likkim and Thunderhead. It gives you token support for bloodlust or Storm Bringer. 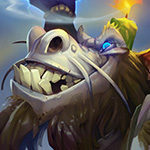 Aggro and Token Shaman feels like it needs a lot of “special somethings” to be viable. This could be part of the picture. I think this is deceptively decent. 1 mana 2-1 is ok and the lackey allows you curve out on turn 2 without a tempo loss (they’re considered to be worth 2 mana). Works well with a Hagatha hero card. Works well in an overload shaman deck. What’s not to like? I agree. At first glance I thought this card was kinda garbage, but the more I think about it the more I really like it and it’s potential applications. 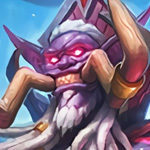 Ethereal Lackey, Faceless Lackey, and Kobold Lackey are what you’re looking for. So this is nice for not just Murloc Shaman, but you could also consider Shadderwock Shaman if the Lackey ever happen to become as powerful as what Hearthstone has attended. 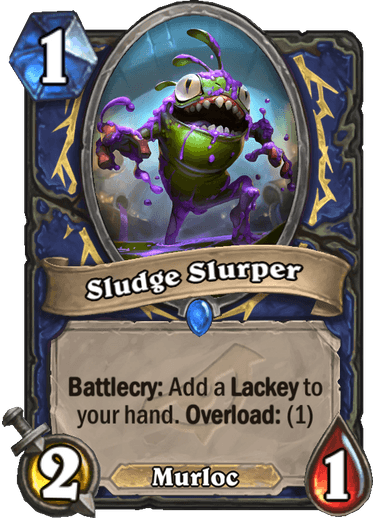 It is however considered as a “2 Mana” for early game Shaman, but other than that, if the Lackeys are good, then Sludge Slurper is a good card. Better than EVIL cable rat, and isn’t that all that really matters? Is this 1-drop which aggro Shaman needs? Or an awful version of Firefly? Talk about a value card gives you a minion still playable next turn that would be worth 2 in value it’s also an easy trigger for cards having to do with overload. You can play this with hagatha the witch for 3/2 board presence And 2 random spells at cost of 1 overload. Would see shaman do similar with the Firefly but the lackey can have more value in late game besides just an elemental trigger. “Overload: (1)”; for a 1 Mana 2/1? Ugh. I miss Firefly already.